AutoCAD 2014 and its verticals can easily be changed between Network, Standalone and Multiseat Standalone licensing with a small registry hack. Note: This feature is not officially supported by Autodesk and always be careful when editing the registry, backup if needed. Start the Registry Editor and the registry location is HKEY_LOCAL_MACHINE\SOFTWARE\Autodesk\AutoCAD\R19.1 and then depending on AutoCAD vertical look in ACAD-D001 for AutoCAD 2014 or for example ACAD-D004 for AutoCAD Architecture 2014. Finally in AdLM there is Type that can be changed to any of the values 1, 2 or 3 as seen below. Or this can also be done the other way around. Above solution does not apply to Multi-flex or eFlex installations. Do NOT switch licenses when using either of these two licensing methods. This hotfix “Windows crash during license authorization Hotfix” by Autodesk can help if you have problem to start any of the 2014 versions of Autodesk products like AutoCAD 2014 or Revit 2014. 1. When launching an Autodesk 2014 product, the user sees an error dialog such as the following during initialization, and an Autodesk Error Report dialog, and the product does not launch. You might see Error Aborting, FATAL ERROR: Unhandled Access Violation Reading 0x0000 Exception at eaf28ea0h or the like followed by the Error Report windows that says A software problem has cause AutoCAD to close unexpectedly. The figure below shows the command result with a blank serial number. If you get this result, this technical solution is applicable to you; otherwise, it is probably not applicable. 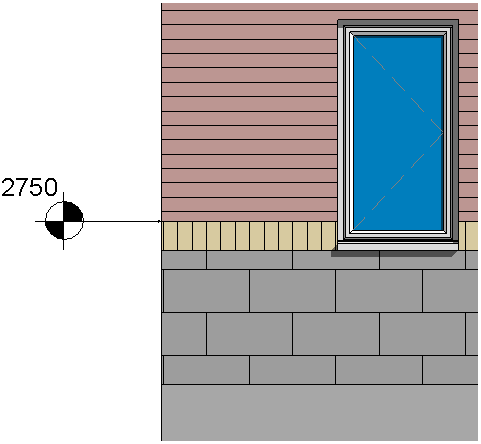 This hotfix improves product stability when placing Spot Elevations within Section Views in Autodesk Revit 2013. Another acquisition by Autodesk. “Autodesk, Inc. has completed the acquisition of technology assets from Colorado-based Get The Point, LLC and today introduced Autodesk Point Layout, new software for layout at construction sites… Autodesk Point Layout automatically creates points from BIM and CAD models within Autodesk Revit, Autodesk AutoCAD and Autodesk Navisworks software. The point data drives robotic total station hardware, such as Topcon’s line of positioning systems and related hand-held devices or tablets, to give contractors and sub-contractors laser-guided pinpoint accuracy for the placement and verification of building elements.” See more on this Beyond Design blog post. Autodesk Point Layout is available now in English in the following countries: the United States, Canada, United Kingdom, Europe, Australia and New Zealand. It runs in conjunction with the following Autodesk families of products: AutoCAD products 2011-2014 (including AutoCAD, AutoCAD Architecture, AutoCAD Civil 3D, AutoCAD MEP); Revit products 2011-2014 (including Revit Structure, Revit Architecture, Revit MEP); or Navisworks Simulate or Manage 2011-2014. For more information, please visit autodesk.com/pointlayout. 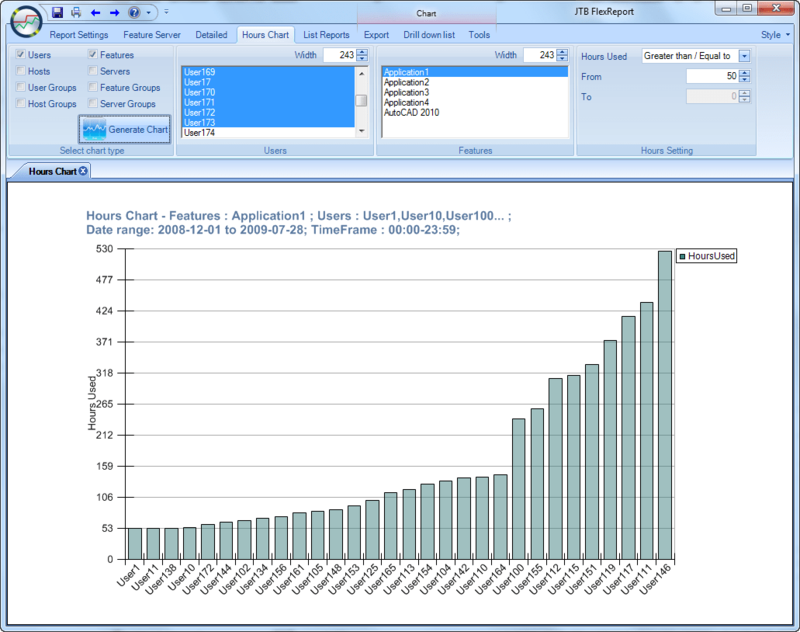 JTB FlexReport Detailed Reports added option to include or not include duplicates (for example with Process Monitor data when a user runs two or more sessions of a program at the same time you might want to not included duplicates). Also available as separate download. Direct link here. Fixed an error with Sentinel parsing: "Error in ProcessSentinel inner". About JTB FlexReport: JTB FlexReport from JTB World is a report tool for applications using the FlexNet / FLEXlm (flexlm license manager), IBM LUM (IBM License Use Management), SPLM (Intergraph SmartPlant License Manager), SLM/Sentinel LM/Sentinel RMS/Sentinel Protection Server/SafeNet Sentinel, LM-X, Solidworks SNL License Manager, T-Systems license manager product LICMAN, Vertex Systems, MathLM (Wolfram Mathematica license manager), Primavera from Oracle or 12D software licensing. With Process Monitor any Windows application like Acrobat, Visio, Bentley MicroStation, single licensed AutoCAD or AutoCAD LT can be reported usage of. According to this press release Autodesk Expands Infrastructure Design and Analysis Portfolio With Acquisition of Sam and AutoTrack Software. The Sam suite of software is widely used around the world by bridge designers and engineers for load analysis in the design of small to medium span bridges. Sam software helps save time, increase accuracy and improve consistency of data during the analysis phase of bridge design. The AutoTrack suite of software modules for road, light rail, airport, parking and intersection analysis and design is used for infrastructure planning by architects, designers and engineers. AutoTrack provides features to analyze the movements of steered vehicles, light rail vehicles and aircraft, as well as to design car parking areas and roundabouts while drafting in AutoCAD-based environments including AutoCAD, AutoCAD Civil 3D, and AutoCAD Map 3D. Autodesk purchased Tinkercad in May 2013 (ref) and with Tinkercad you can now export 3D models via Download for Minecraft. Then import the schematic file into MCEdit and finally you have it in Minecraft. This video is showing how it works. What’s next? AutoCAD export to Minecraft or DWG import to Tinkercad? On the topic of “fun” did you know that you can create Spirograph patterns in AutoCAD with Spiro for AutoCAD? This error can happen in AutoCAD 2014 and verticals. Folders and files cannot be saved when Autodesk 360 is not running. Start Autodesk 360 and try again. Solution is to open the Options dialog box, Online tab, remove the selection from Enable Automatic Sync. If you choose not to make this change, you can ignore the warning. The local drawing is saved. Found out about in an Autodesk’s KB. Unfortunately the RSS feeds for these will be shut down soon. This year AU has a new logo and a new website. The search for Classes on Demand is updated too. 650 classes are scheduled for AU 2013 and will soon (September 12) be available to register for. DimensionPatrol 1.2 by JTB World has been released on Autodesk Exchange Apps. Dimension Patrol highlights dimensions in drawings for which the user has customized the dimension text and thus this plug-in helps to ensure the quality of the drawings. Once loaded, the DIMPATROL command can be used to turn on (and off) the highlighting of potentially problematic dimensions: dimensions whose text has been overridden and therefore may not match the actual dimension. To change the color used to highlight the dimension, use the DIMPATROLCOLOR command or for command line usage -DIMPATROLCOLOR. To change the transparency used, use the DIMPATROLTRANSPARENCY command. Version 1.2 news: DIMPATROLCOLOR now shows a dialog box to allow color selection as well as the limitation of color 1-7 is removed. -DIMPATROLCOLOR is added for command line usage. DIMPATROLTRANSPARENCY is a new command added. Settings are remembered between AutoCAD sessions. Trial and Purchase versions created. DimensionPatrol trial can be used to see if this app fits your needs and when ready to purchase visit DimensionPatrol and you can get a license for 2 USD. If you are interested in other useful AutoCAD helper functions take a look at TransTips, OffsetInXref, HTools Menu for AutoCAD, UnitCAD for AutoCAD or HVACPAC. Spiro 1.1.1 has been released on Autodesk Exchange Apps and is free to download and use. The Spiro freeware plugin can be used with Autodesk AutoCAD to create Spirograph™-like patterns. Turn your Autodesk AutoCAD-based product into an educational toy that will provide hours of fun for the whole family! How about that as a way to introduce AutoCAD as well as the joy of math for your young ones? If you’re not familiar with what a Spirograph is, here’s what Wikipedia says: A Spirograph is a geometric drawing toy that produces mathematical roulette curves of the variety technically known as hypotrochoids and epitrochoids. It was developed by British engineer Denys Fisher and first sold in 1965. Did you know that the ellipse may be expressed as a special case of the hypotrochoid, with R = 2r? Did you know that the combustion chamber of the Wankel engine is an epitrochoid? If you are interested in other (possibly more) useful AutoCAD helper functions take a look at TransTips OffsetInXref, HTools Menu for AutoCAD, UnitCAD for AutoCAD or HVACPAC. Or if you have a need for a custom built tool for AutoCAD or Revit feel free to contact us. NOTICE: Autodesk RSS feeds will be shut down on August 28, 2013. I guess this will affect some or all of the following sites: http://www.autodesk.com/rss, http://www.autodesk.com/discussion-rss, http://rss-aec.autodesk.com/subscription, http://rss-manufacturing.autodesk.com/subscription, http://rss-media-ent.autodesk.com/subscription and http://rss-support.autodesk.com/subscription. I think this is unfortunate and wonder why this happens. Maybe too few are using them. Will also future AutoCAD products have limited or removed feed functionality?